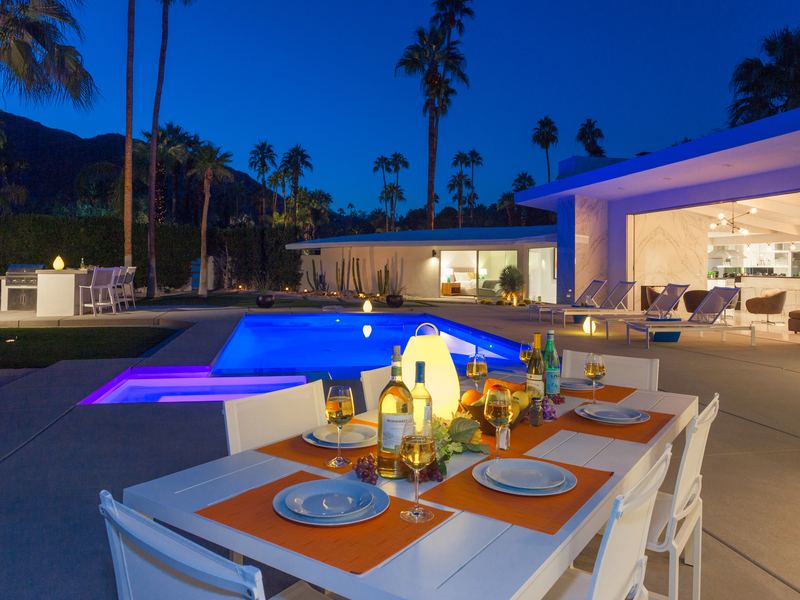 Luxury Estate in Old Las Palmas recreated by celebrity designer Martyn Lawrence Bullard. 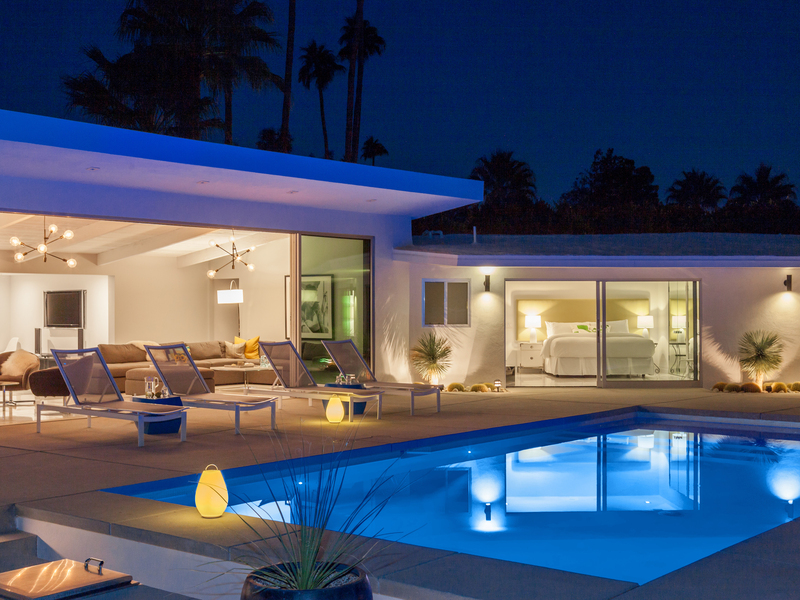 Featured in California Homes Magazine. This property is absolutely gorgeous - located on what is typically a very quiet residential cul-de-sac. Prospective guests should know that there is ongoing construction on the adjacent lot. The work schedule is sporadic at times. The price has been adjusted accordingly and there will be no further considerations or concessions made if guests experience construction disturbance during the stay. 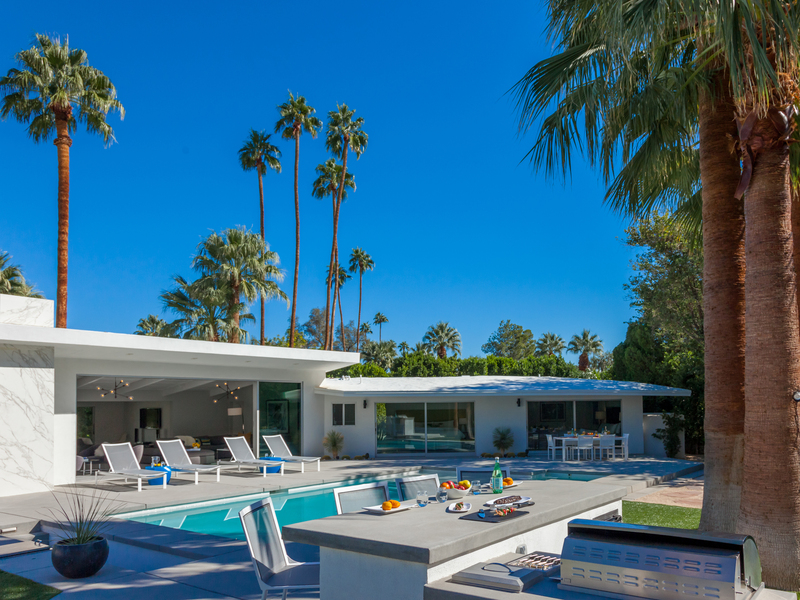 Stunning midcentury estate where it is all about luxury living in the sunshine. Fabulous location in Old Las Palmas - in walking distance to the world famous Palm Canyon Drive where it passes through the Uptown Design District. 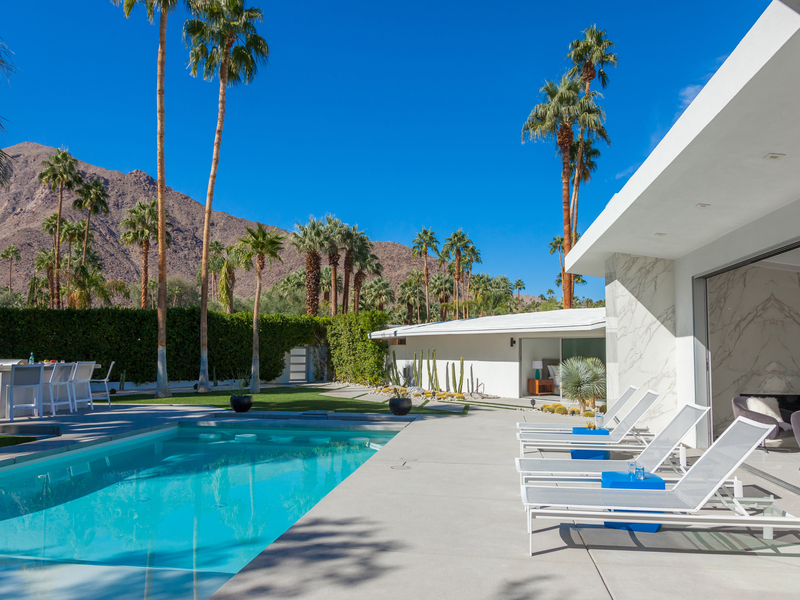 Stroll to Palm Springs' finest restaurants, art galleries and boutiques. Gorgeous mountain views. Deluxe sleeping quarters - all with en suite baths. 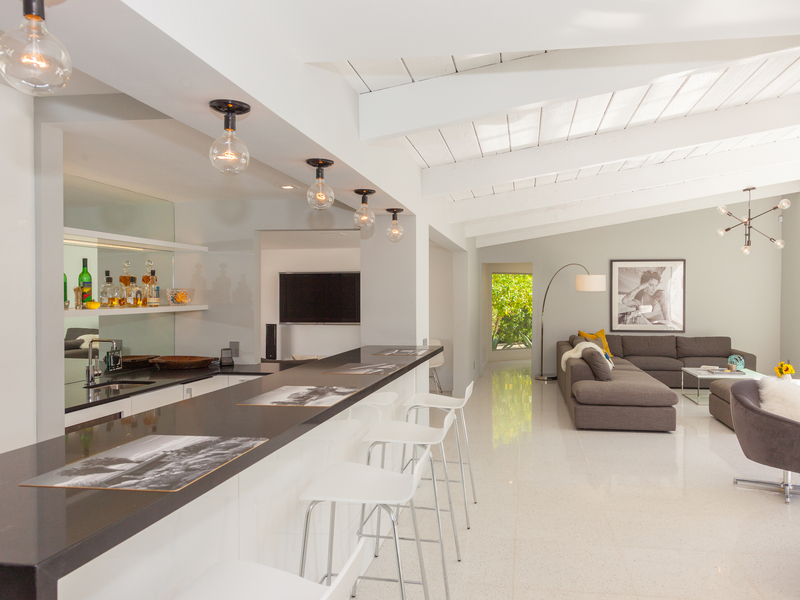 Open concept floor plan. 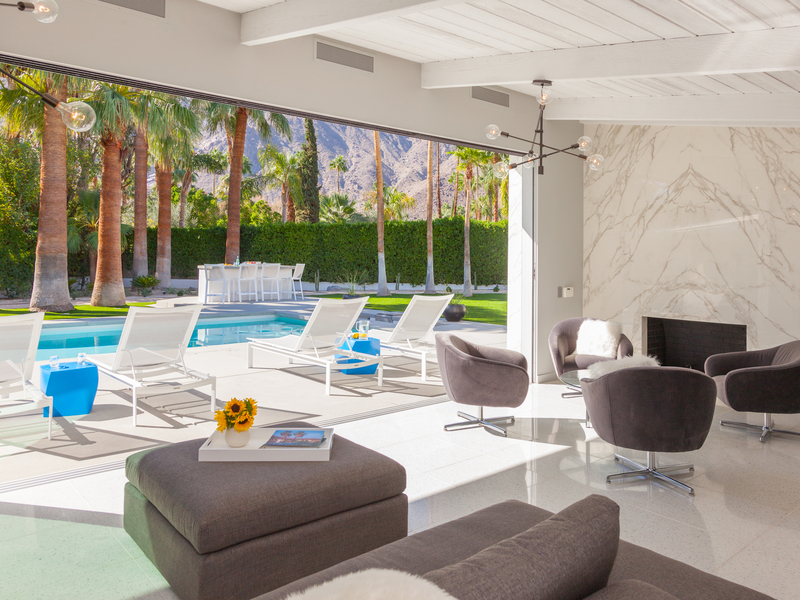 Spectacular moving walls of glass that blur the lines between indoor and outdoor living - in true Palm Springs style. 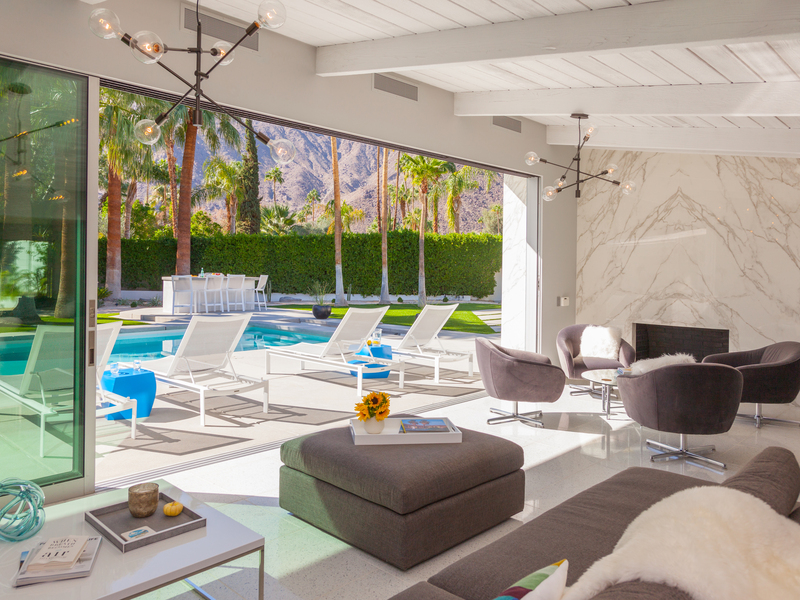 As though ripped from the pages of Architectural Digest or Elle Decor - this property is celebrity designer Martyn Lawrence Bullard at his best. Chic and sophisticated but casual and comfortable at the same time. 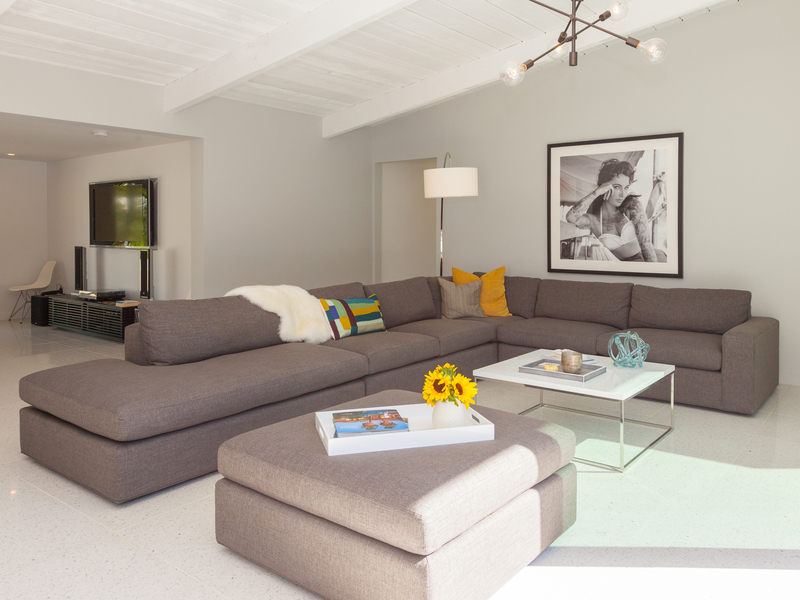 The open concept floor plan is perfect for spending time with your entire group - but there are also some quiet spaces tucked away for curling up with a good book or just getting some alone time. 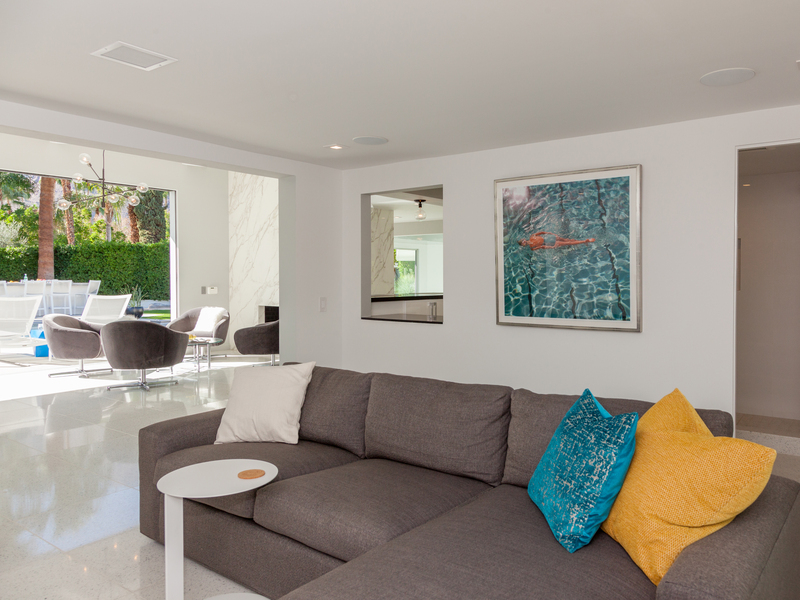 The architecture is amazing - all large rooms, classic midcentury wood ceilings, gleaming marble and quartz surfaces and fantastic movable walls of glass that bring the outside in - and vice a versa. 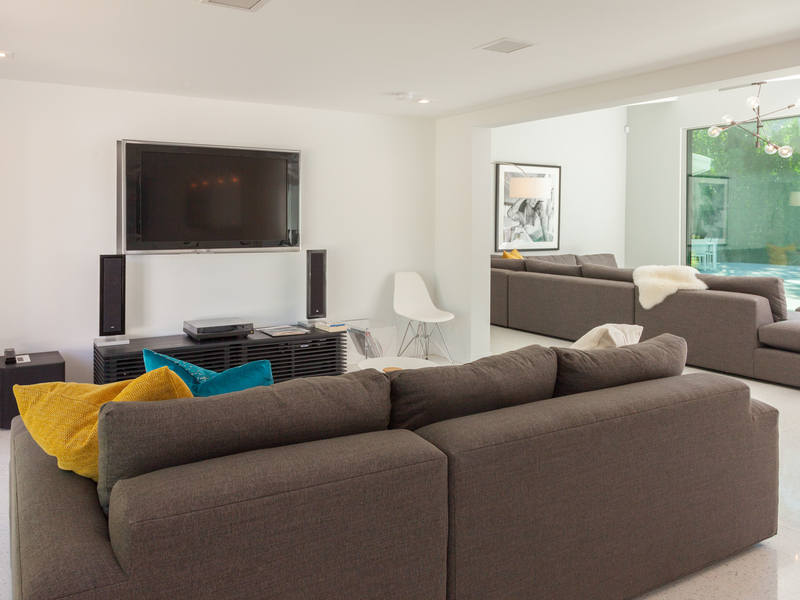 The oversized living room, media area, dining room and well-stocked chef's kitchen are all open to each other. 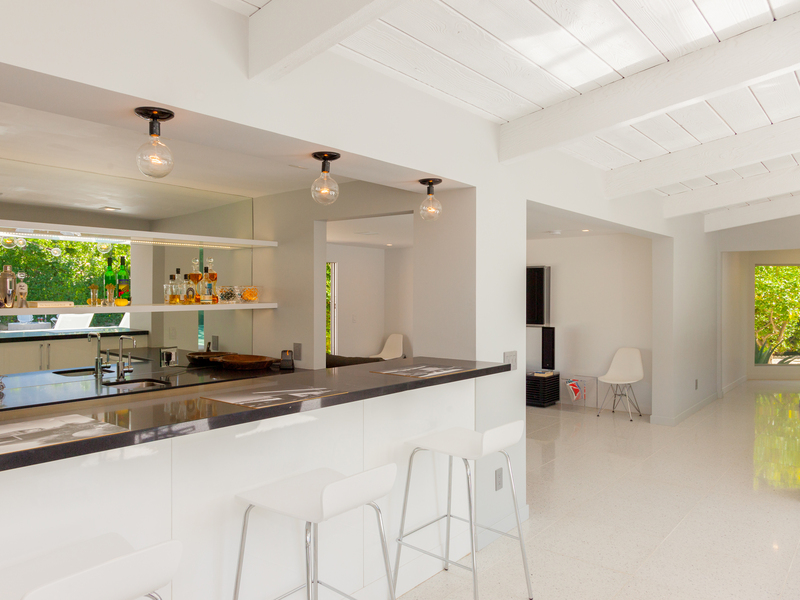 There is even a swank wet bar area and a gas fireplace - making this an entertainer's delight. 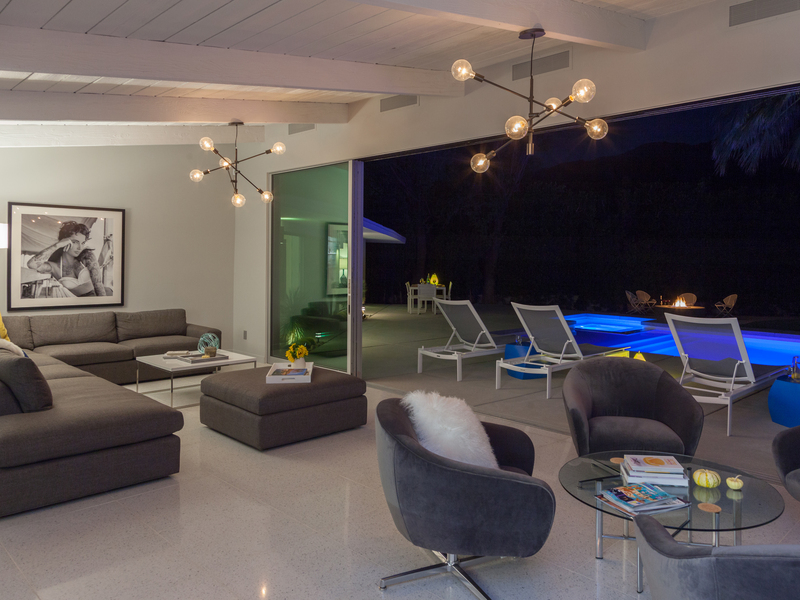 As beautiful as the interiors of this home are - it is the outdoor spaces that are the true crowning glory. 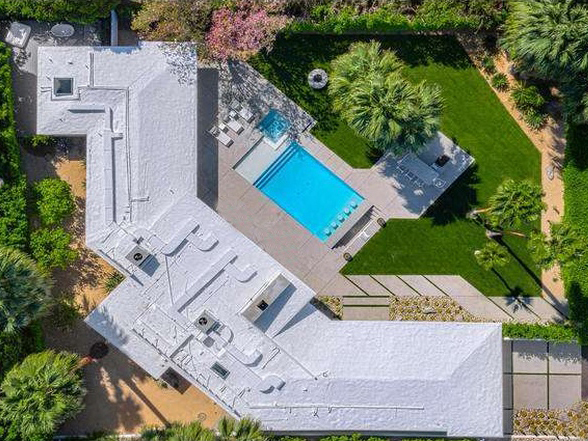 The entire property has been walled and gated for privacy. One step through the gates and you'll know you have made the right choice. 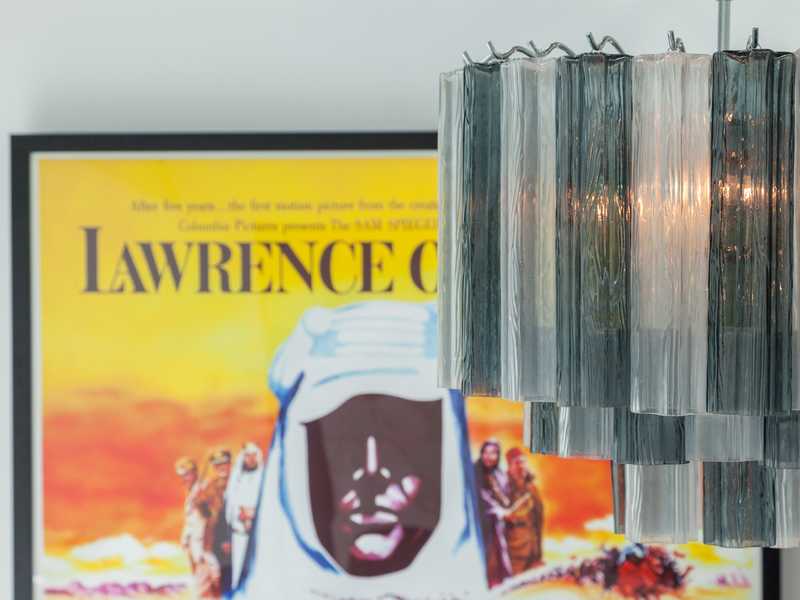 The Lawrence feels more like an exclusive resort than it does a private home. 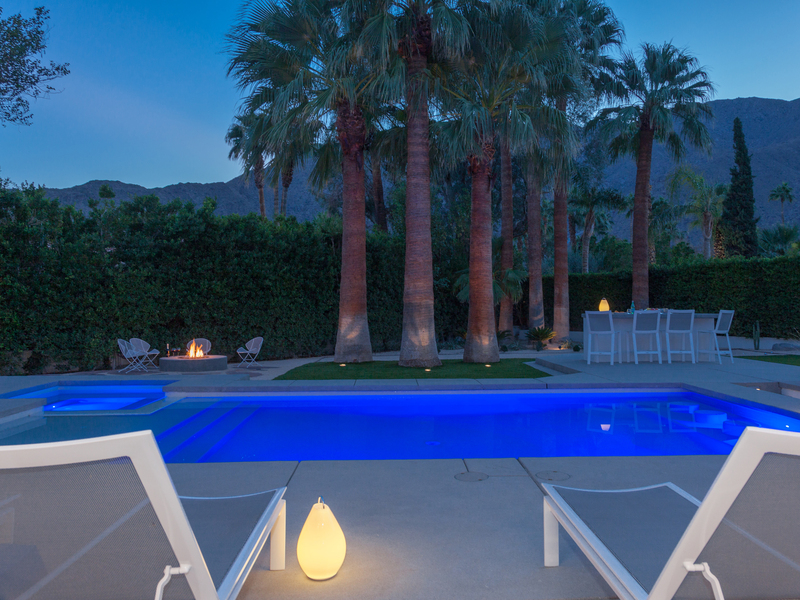 The desert-scape is drought conscious and lush at the same time - mature plantings, towering palm trees and absolutely magical mountain views. 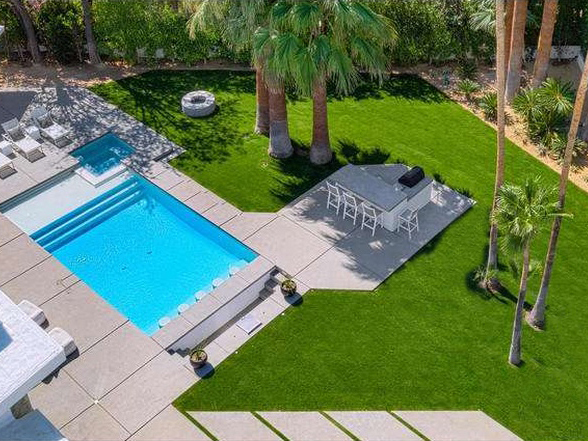 The country-club style pool is perfect - with its integrated spa, shallow tanning shelf and swim up cocktail bar with in-pool seating. Chaise lounges, patio seating, an al fresco dining area and a built-in gas barbecue cook center dot the perimeter. 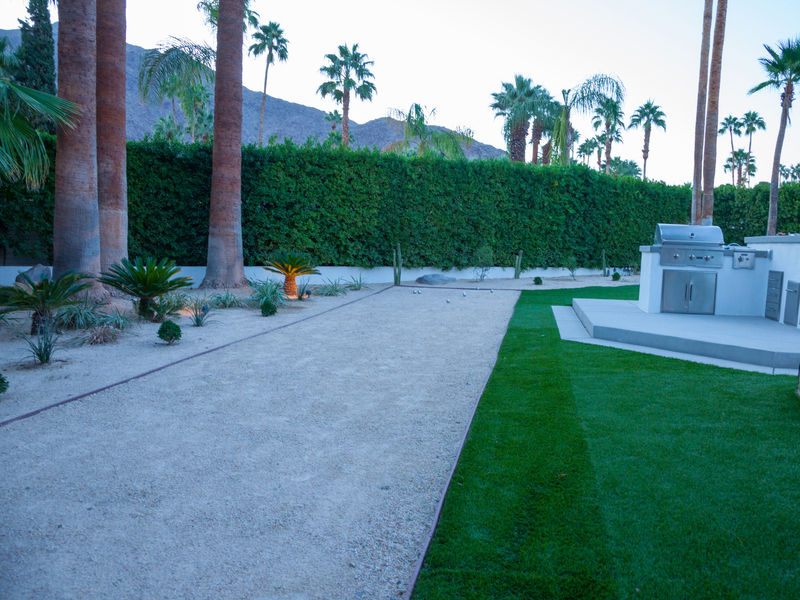 There are also other resort amenities like a Bocce Ball Court - and a fire feature lounge area. 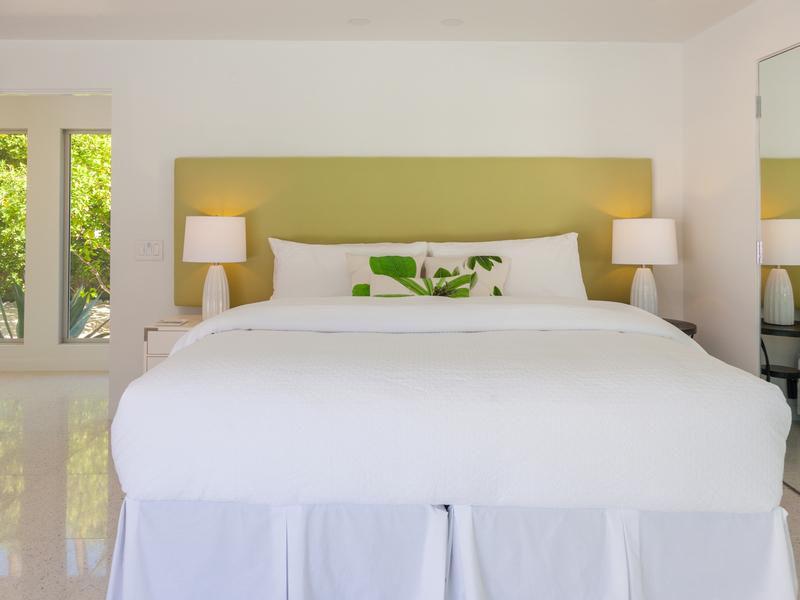 All of the sleeping quarters have been beautifully styled like an exclusive boutique hotel. 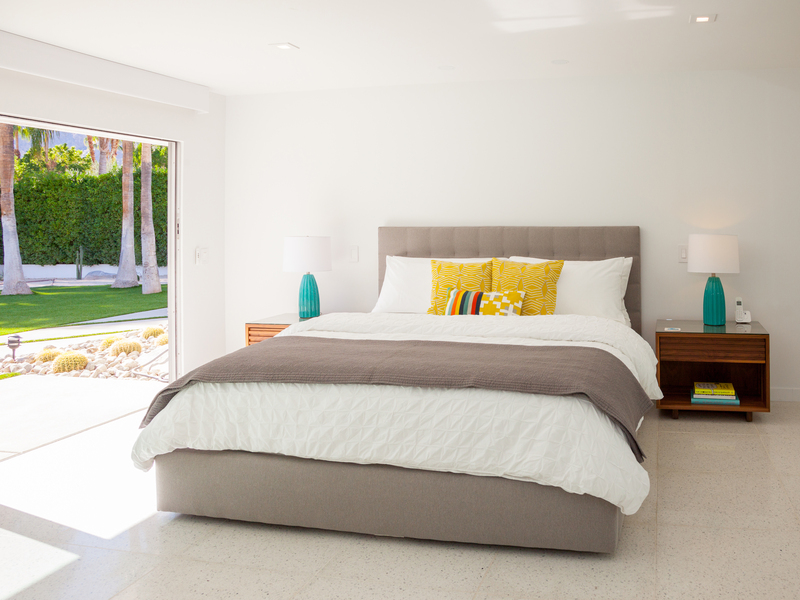 Each bedroom has an en suite bath, a king sized bed, and ample storage. 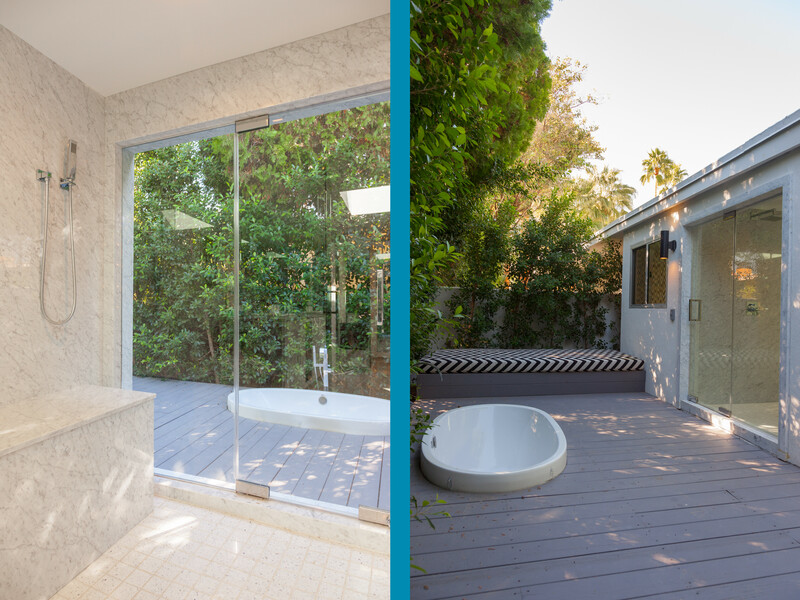 The master features a deluxe spa bathroom that leads to a private courtyard that also has a separate outdoor shower and tub as well as a lounging area. There is an additional daybed in the master that is perfect for accommodating children. 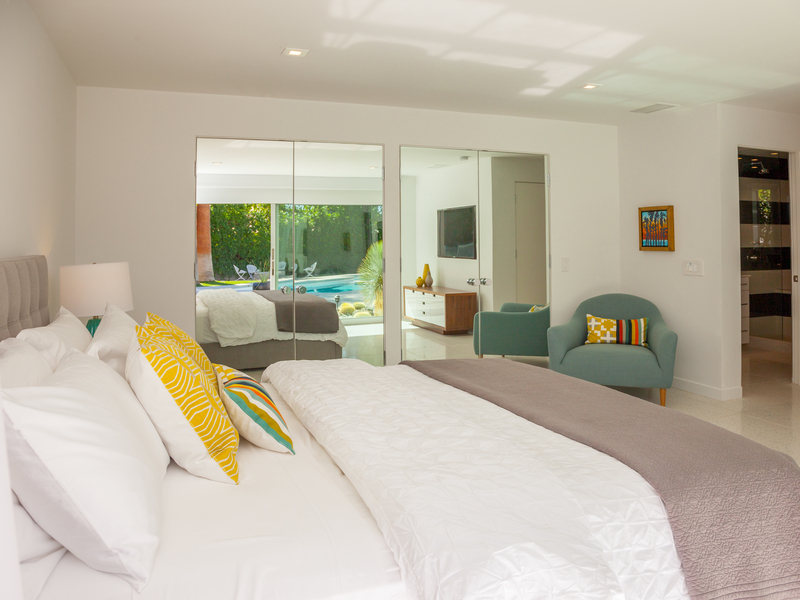 The other two guest suites have king beds - one can be converted to two twins upon request. This is Luxury! Worth every Dollar! "Everything about our stay was perfect. Acme is a great management company and The Lawrence is over the top gorgeous. 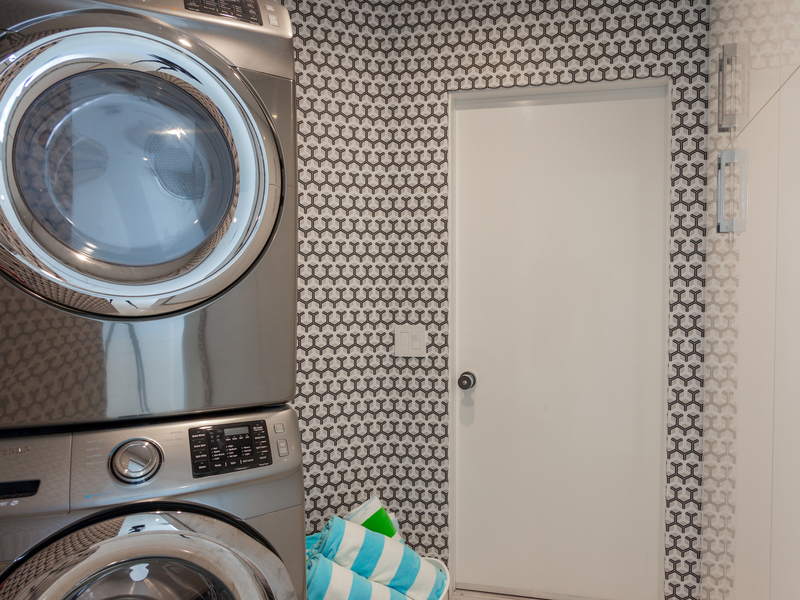 We travel extensively - and often stay in vacation rental homes. This was a cut above - way way way above. If you are looking for a luxurious getaway - this is the real deal!" Staying here is the epitome of living in a dream! "Every morning when you wake up you pinch yourself as you try to comprehend the beauty of the scenery just outside the wall to wall glass that's a feature of every major room in the house. The Lawrence at Old Las Palmas is extremely comfortable and well appointed, in tip-top shape and the level of design is far above any home we have rented before. 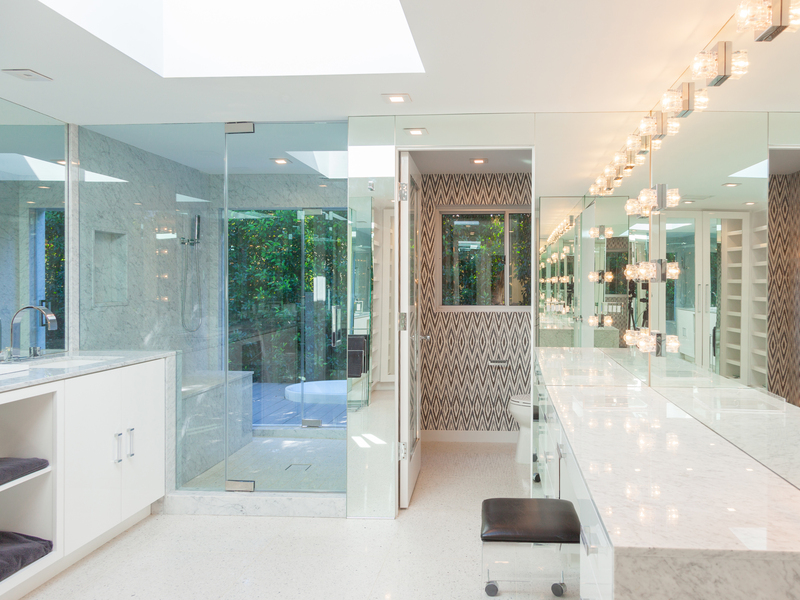 Every room is unique, with a personality all its own and a custom bathroom to match. Outside the pool and hot-tub comfortable day or night, and the fire-pit gives off a flame that could be seen for miles if the yard weren't so private. We had fun grilling, playing Bocce Ball, and walking around the stunning community of Old Las Palmas. 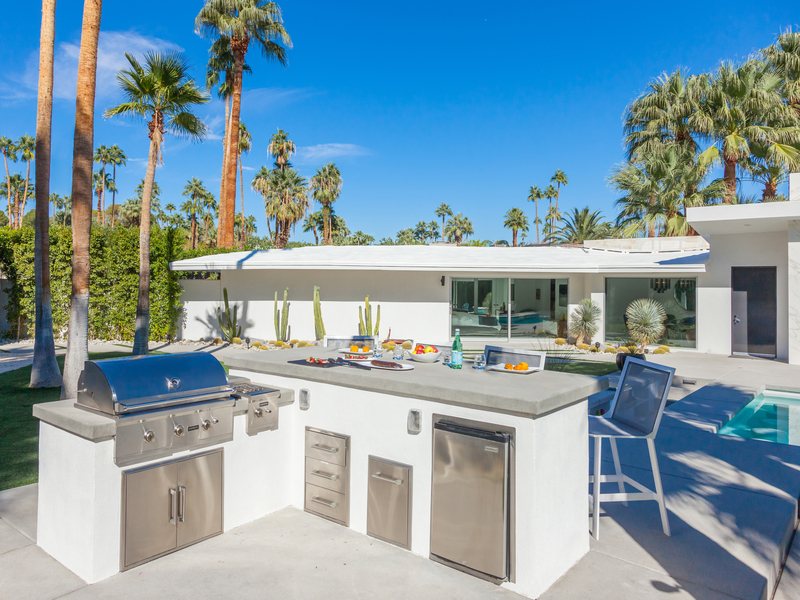 If you are staying in Palm Springs and love the best of luxury mid-century architecture and design, this is where you want to be!" " We loved staying here. 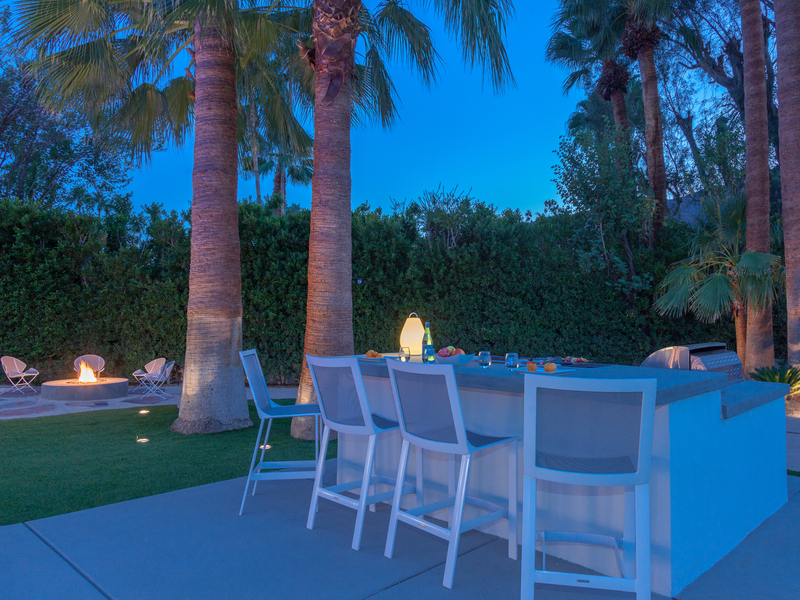 This is an incredible property being big, open and totally private, all while located in one of the best parts of Palm Springs. The house is architecturally stunning, luxurious and spacious, all built around a crystal clear swimming pool with lush lawns, palm trees, blue skies, rugged mountains framing up this perfectly balanced house in the centre. We stayed here with two other couples for five nights and it was perfect. You feel away from the world yet you can walk into town in 5 minutes. Perfect for long afternoons spent in the pool's swim up bar. 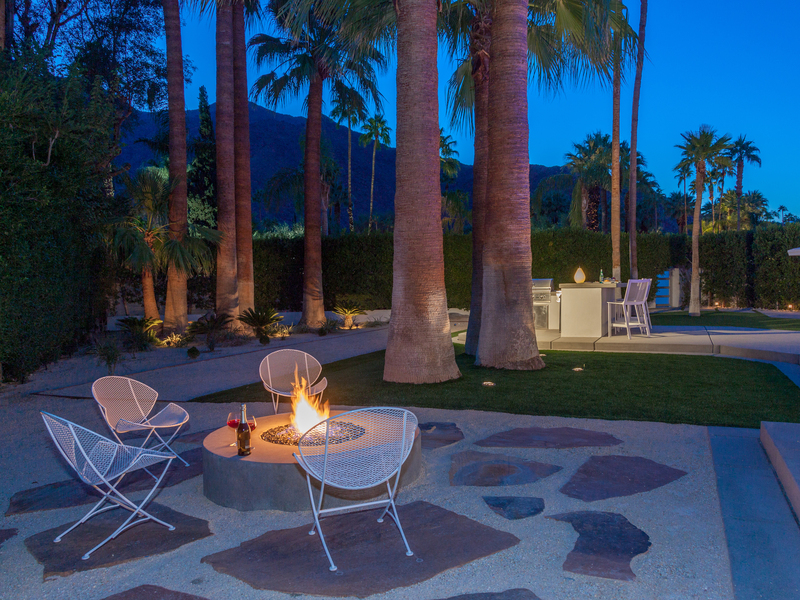 Great for star gazing in the clear desert sky by the fire pit. The beds were outstanding. 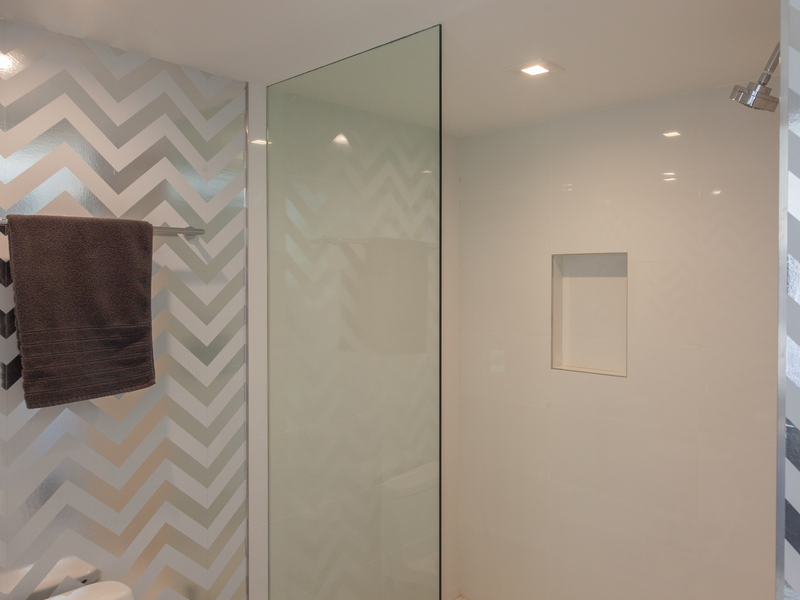 Quality finishes, designer furniture, huge bathrooms, showers and general open plan luxury. We loved it. Can't recommend it more highly." 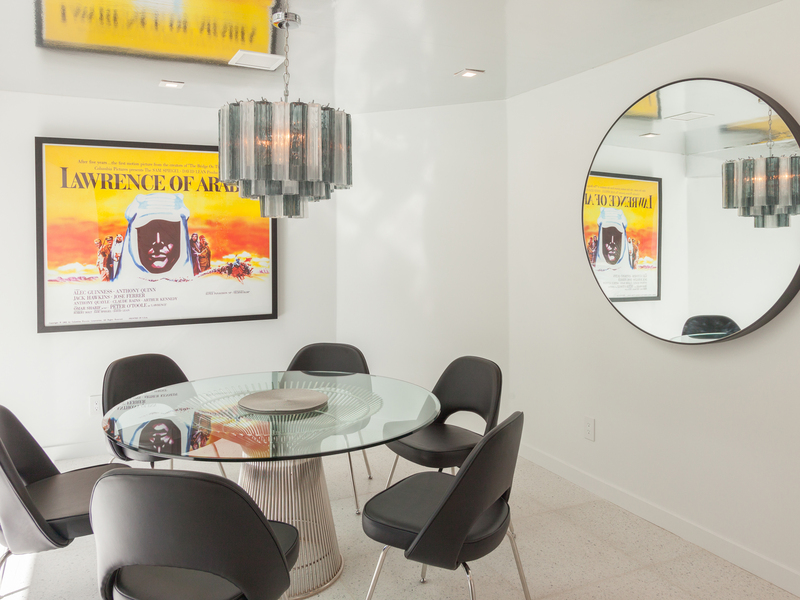 "The Lawrence is the perfect getaway in an incredible location in Palm Springs. Coming here was the perfect way to treat ourselves to the perfect combination of rest, relaxation, and adventure. 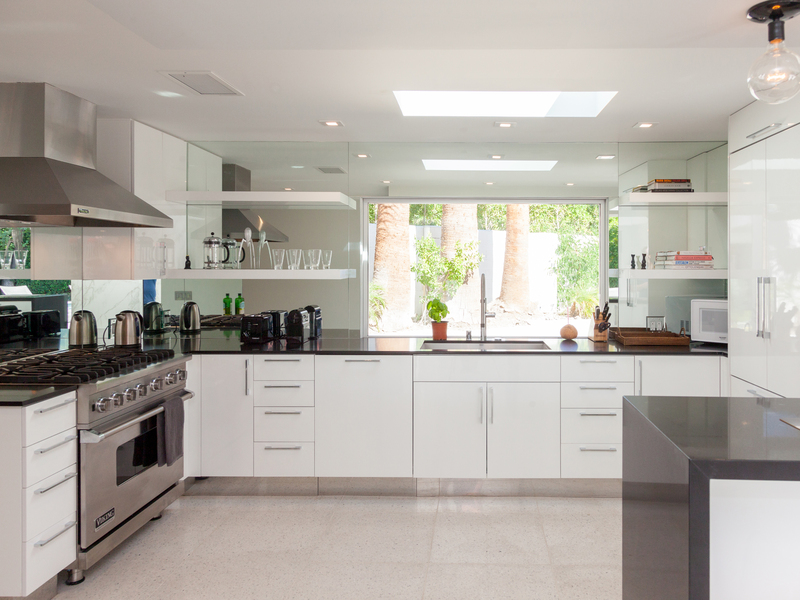 Wide, sweeping, open windows allow you to let the desert breeze in or look out onto a breathtaking pool/lawn! 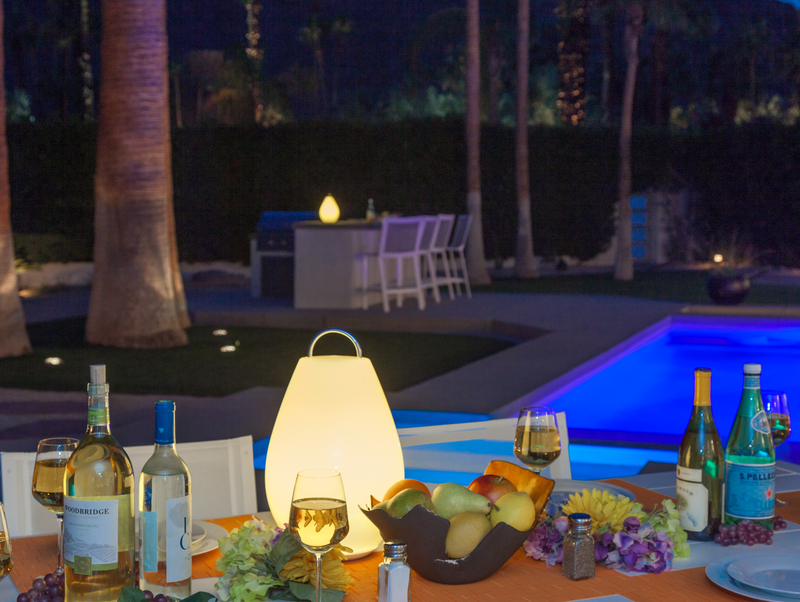 Nights spent grilling, hanging by the technicolor hot tub, or just having a drink on the patio were a true dream. 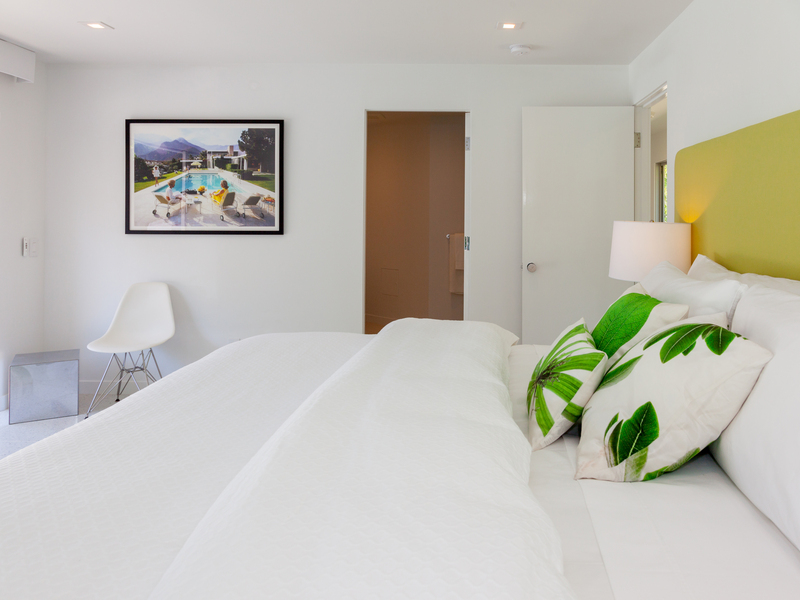 The decor inside is a showstopper, great for hosting guests - comfortable beds, and a hint of Palm Springs personality in each room. Highly recommended for a weekend getaway!"